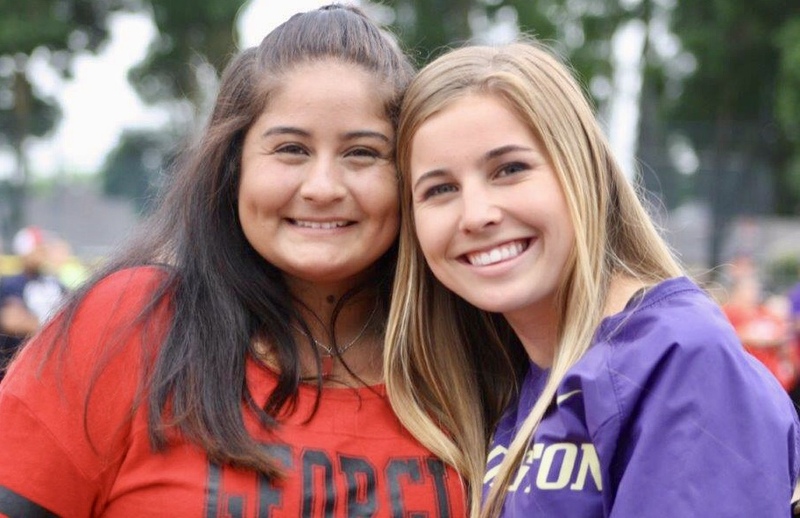 Patterson teammates Carolyn Dallimore (left) and Delihla Garcia have hit five home runs apiece, tied for the most in the southern half of the Sac-Joaquin Section. On game days, Patterson junior Delihla Garcia is in charge of supplying the hits. From bat to boom box. As the Tigers build toward first pitch — loosening up their arms and awakening the bats — Garcia pulls a speaker from her bag and cues up the playlist. It features a mixture of 1990s hip-hop and today’s stars, such as Drake and Migos. Hype music, she says. When it comes to Garcia’s game, believe the hype. 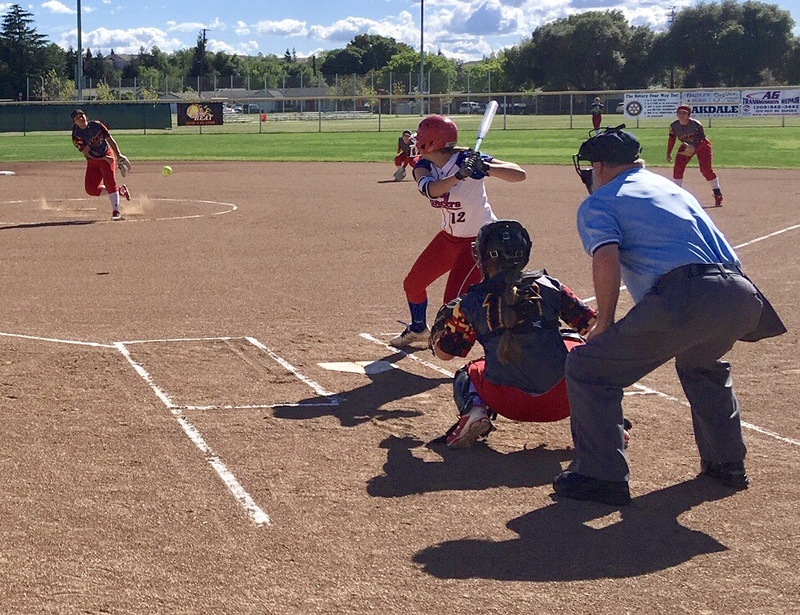 Now in her second year on the varsity team, Garcia is testing the fences in the Central California Conference. 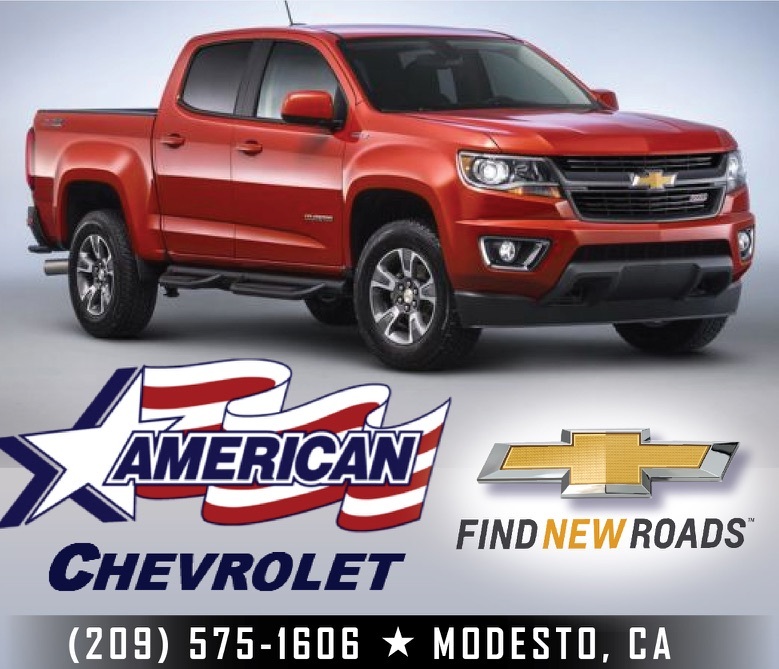 She has clubbed five home runs, including three in a runaway victory over El Capitan on March 22. Garcia, who is hitting .538 with a team-high 14 hits, had a career-high 10 RBI in the 19-2 win. The Tigers (7-0, 3-0) have won six straight games — and 17 straight league games dating back to 2017 — and the surge in performance can be traced back to a power surge. Garcia is one-half of a dynamic duo in the middle of Patterson’s lineup. She and Carolyn Dallimore have hit five home runs apiece, tied with Oakdale slugger Lexie Webb for the regional lead entering the week. Dallimore paces the Tigers in batting average .619 and runs scored (13), and trails only Garcia (17) in RBI with 15. These days, their battle is blow for blow, which has worked in the Tigers’ benefit. The reigning conference champions are one of three unbeaten teams in the CCC, but something will give this week. The Tigers travel to large-school No. 5 Atwater (8-2, 2-0) on Tuesday for a makeup game, and then host second-ranked Golden Valley (11-1, 3-0) on Wednesday. Both teams feature a bona fide ace that will look to silence the Tigers’ big boppers. 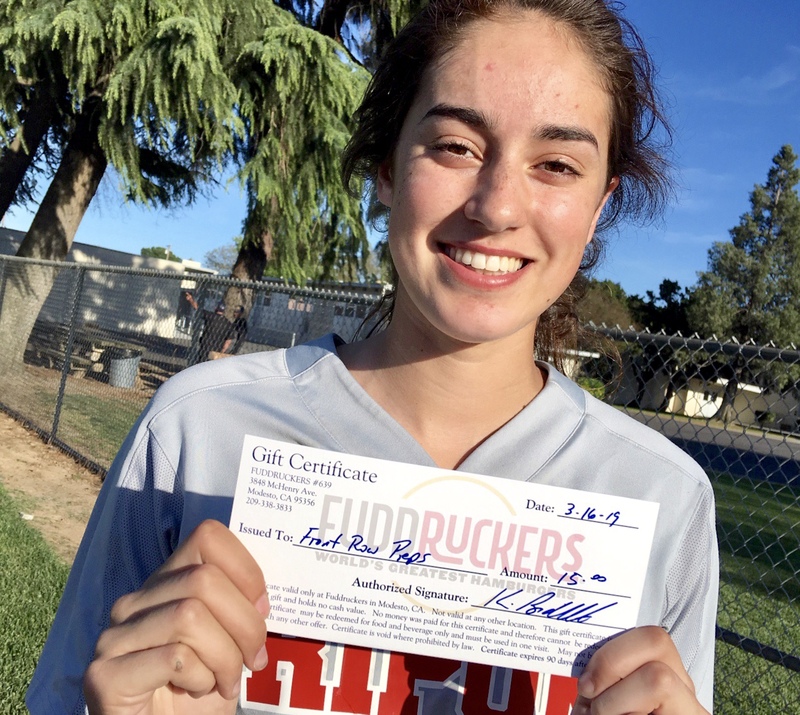 The Falcons attack with Megan Escobar (1.08 ERA, 33 strikeouts in 26 innings), who has committed to UC Santa Barbara, while Golden Valley possesses one of the top two-way talents in the Sac-Joaquin Section. Cougar ace Marissa Bertuccio leads the region in wins (10), strikeouts (131) and ERA (0.15), while ranking among its top hitters. “She’s very consistent. She has pretty good speed and her rise balls are good … they’re really, really good,” Garcia of Bertuccio. “It’s just a matter of figuring out how she wants to pitch us. If she’s throwing first-pitch strikes then I’m going for it. There’s no holding back. Garcia is seeing the fruits of her labor. 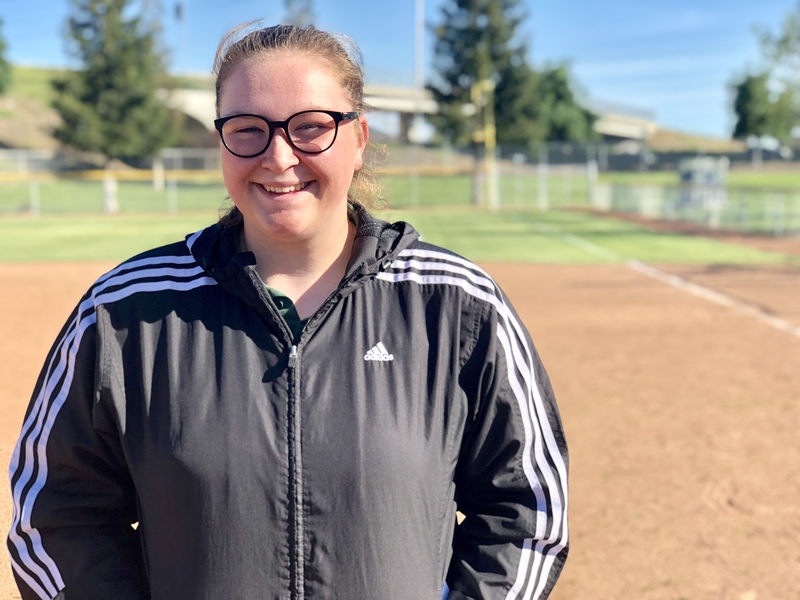 Her batting average has climbed nearly 200 points from her sophomore to her junior season, a jump she credits to Debbie Nelson of All-American Sports Academy in Tracy. After a dip in production, Garcia turned to Nelson who had worked with a travel ball teammate. Almost immediately, Garcia fixed the holes in her swing. She was opening her hips too early, which didn’t allow her to keep her hands inside the ball.